No. No! NOOOOO!!! Say it enough times in frustration while trying to train and instill good manners in your dog, and he is apt to think his new name is No. But when it comes to your dog’s health, No can be the right word to employ, especially when you’re shopping the aisles for an affordable, yet nutritious brand of food or treat. Shopping merely by price doesn’t cut it for our dogs. What really matters is to read, comprehend, and scrutinize that itty-bitty print containing the package’s ingredients. Food is fuel, and you want your dog to have the right “octane” to help him enjoy a long, healthy life. Some terms on packaging can be daunting and confusing. To help us wade through and identify what ingredients to avoid, we turned to two renowned experts in pet nutrition: Sean Delaney, D.V.M., DACVN, board-certified veterinary nutritionist and founder of DVM Consulting, Inc. in Davis, California; and Jean Hofve, D.V.M., retired holistic veterinarian, author and founder of the heavily-followed site LittleBigCat. Both agree — and applaud — pet parents for stepping up their interest in label reading for the sake of their dogs. “This has been driven by several factors — pet food recalls, marketing focused on ‘clean’ labels, growing awareness about the impact of nutrition on health, and increased recognition of pets as family members,” said Dr. Delaney, founder of BalanceIT, a site created to help people make wise, safe decisions on canine nutrition choices. Golden Retriever eating by Shutterstock. Before we look at the watch list words on dog food and treat labels, our experts first want to clear the air about gluten, wheat, and dietary fiber. Dr. Hofve added, “Honestly, there’s only been one recorded case of true gluten allergy in a dog and none in cats. But it is a plant protein and thus, a cheap substitute for meat.” She doesn’t regard wheat as dangerous. 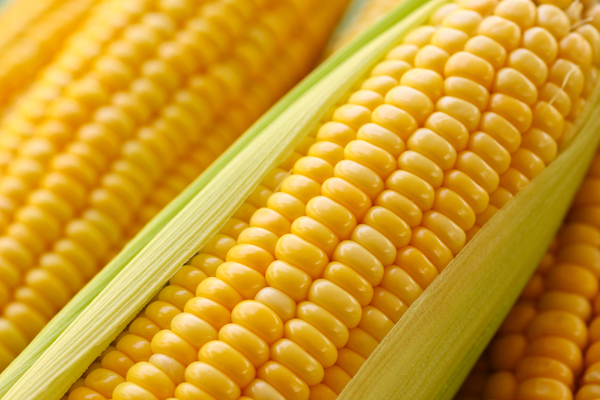 Corn: Dr. Hofve said corn has a glycemic index higher than a chocolate bar and that corn that goes into pet food may be feed-grade, which is typically genetically engineered. Over time, constant sugar intake from corn may lead to diabetes and obesity in your dog. Simple starches: Avoid an excess of simple starches by feeding in moderation. “What most people don’t realize is that simple starches (like potatoes and peas) also break down into sugar very rapidly and can lead to obesity and obesity-related inflammation, as well as heart disease, liver disease, arthritis, and cancer,” Dr. Hofve said. Sugar and artificial sweeteners: Dogs don’t need to have a sweet tooth! Steer clear of products listing fructose, sugar, sorbitol, and xylitol. These sugars and sugar substitutes can cause tooth decay and obesity, and xylitol is toxic to dogs. ANTIBIOTICS: The main concern is creating antibiotic resistance, but Dr. Hofve noted there have been cases in which antibiotics in foods caused allergic reactions in dogs. Propylene glycol (PG): This moistening agent contained in some dog food is derived from ethylene glycol — yep, that’s antifreeze and is very toxic to dogs. The PG is heralded as a nontoxic version with the job of preventing bacteria growth and reducing moisture, but do you want to take the risk on your dog’s health? Preservatives: Butylated hydroxyanisole (BHA) and butylated hydroxytoluene (BHT) — along with their cousin, ethoxyquin — represent chemical preservatives added to fats in some pet food and are suspected of causing cancer. “Stay clear of them,” Dr. Hofve advised. Opt for preservative-free foods that contain safer choices like vitamins C and E. SALT: Just like in us, excessive salt in foods can boost blood pressure and take a dangerous toll on kidney function in our dogs, leading to possible renal failure. Look for meat being No. 1. The foods and ingredients are listed in order by weight, starting with the heaviest. Look for foods that list a real protein (chicken, beef, bison, etc.) as the first ingredient. Watch out for “ingredient splitting.” Some food may have more corn than protein, but corn is listed under different names: corn, maize, corn flour, and corn protein. Add them all together, and corn may be the true No. 1 ingredient, not beef or chicken. Feeding guidelines are not ironclad. 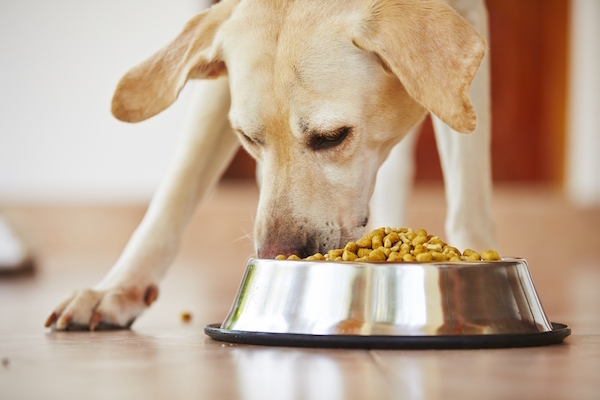 The best amount to feed your dog is based on his particular age, activity level, and health condition — not necessarily the suggested portions listed on the package. Work with your veterinarian to determine the right portions to feed your dog to keep him from becoming overweight. Understand label lingo. Words like “natural” and “holistic” are attention-getting marketing terms put on packaging to entice you but really are meaningless. However, dog foods sporting the term, “organic” must comply with USDA standards by containing at least 95 percent of organic ingredients. Don’t be confused by guaranteed analysis findings. The label indicates the minimum or maximum percentages of crude protein, fat, fiber, and moisture. But be aware that the standards differ greatly for protein standards in dry food than in canned food. The post How to Read Dog Food Labels: The “No This,” “No That” Edition appeared first on Dogster.